Odyssey has made its mark on the new DJ era of digital controllers with innovating designed cases such as the Odyssey FFXGSNS6BL Flight FX Series case specifically made to fit the popular Numark NS6 DJ controller bundled with the Serato Itch software. The Odyssey FFXGSNS6BL features our patented Glide Style DJ laptop platform and is designed with enough room underneath the controller to store cables and other essentials. 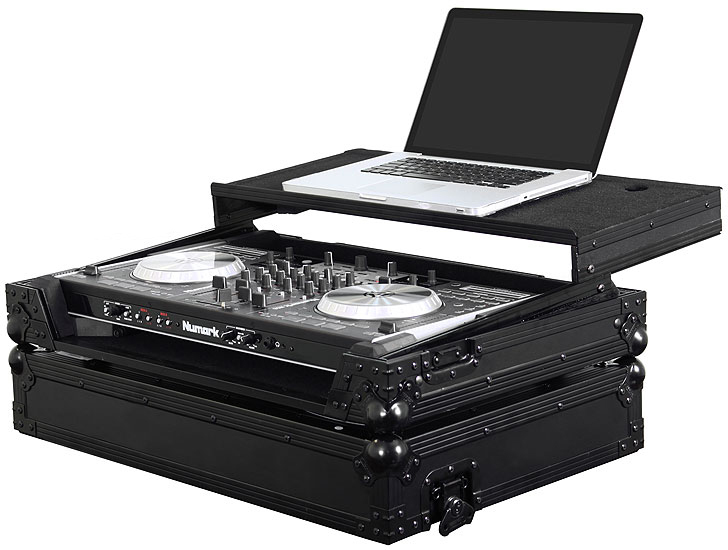 Other features include ball corners, heavy-duty recessed handle and latches, and a front removable V-cut panel for easy access to the front input jacks on your DJ mixer.. 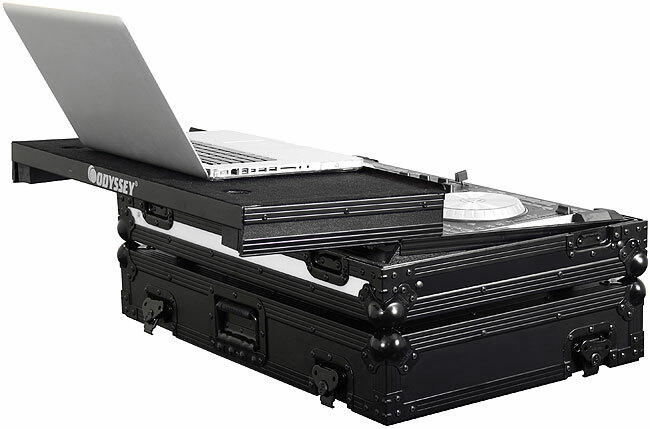 Plain old ordinary DJ cases have now become extraordinary with Odyssey's new Flight FX case series. Embedded into the case wall is a color changing multi-mode LED panel that runs across the front of the case. The panel can be set to any one of seven colors or can be set at a variety of color changing modes. For multiple case setups, any FX case can be synchronized to another by connecting the control boxes using optional Cat5 cables. Each Flight FX Series case is constructed with the same black anodized and powder coated black hardware as our Flight Zone Black Label cases complementing the visual aura of the glowing panel. Become center stage at any music gig behind these cases. Approximate Shipping dimensions (exterior): 29.5" x 9" x 20"